The man known as Abu Ubaydah Al Lubnani (“the Lebanese”) is one of the most senior al Qaeda leaders to defect to the Islamic State since the two jihadist organizations split in early 2014. Lubnani was once a top security official for al Qaeda in Afghanistan and Pakistan. But after being demoted from his sensitive post, he joined Abu Bakr al Baghdadi’s organization. Lubnani quickly became a thorn in al Qaeda’s side, revealing details about his former employer’s inner workings. Earlier this year, Lubnani’s story was featured in several editions of the Islamic State’s Al Naba newsletter. The contents of his testimony are so explosive that an al Qaeda operative known as Abu Karima al Khorasani was forced to respond. One issue, more than any other, loomed large in their debate: Al Qaeda’s relationship with Iran. In the 19th edition of Al Naba, an interviewer asked Lubnani how he managed to travel from the Khorasan (an area that encompasses Afghanistan and Pakistan) to the caliphate’s home in Syria after his falling out with al Qaeda’s leadership. Abu Karima al Khorasani penned a blistering critique of Lubnani that was published online by a jihadist media outfit in late February. The piece was promoted with the banner seen on the right. Lubnani served as al Qaeda’s security official in South Asia for only “several months” before he was “completely dismissed” for “deceiving al Qaeda commanders,” according to Khorasani. 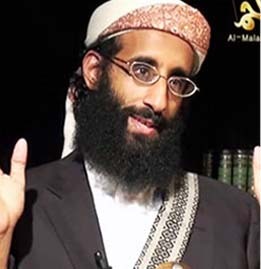 An al Qaeda sharia court even ruled that Lubnani should be harshly punished for his alleged crimes. Al Qaeda’s defender took exception to Lubnani’s accusation that al Qaeda works with Pakistani intelligence, arguing that al Qaeda in the Indian Subcontinent’s first attack targeted the Pakistani Navy. Khorasani did not deny that al Qaeda has safe houses in Iran. Instead, Khorasani threw the allegation back in Lubnani’s face. “If you live in a glass house, do not throw stones at people,” Khorasani wrote. Khorasani’s questions are intended as a dig at the Islamic State. Given its unrelenting demonization of Shiites, it is embarrassing for one of the so-called caliphate’s own leaders to have benefitted from al Qaeda’s deal with the Iranians during his travels. Khorasani does not name the organization Lubnani belonged to, but it is possible he was once a member of Hezbollah or an affiliated group. As a native of Lebanon, Lubnani could have belonged to an Iranian proxy in his home country before converting to Sunni Islam, joining al Qaeda and eventually defecting to the Islamic State. Khorasani also wrote that Lubnani had left the Islamic State since he was interviewed by Al Naba, implying that he had problems with Baghdadi’s men as well. Lubnani’s testimony regarding al Qaeda’s hub inside Iran has been corroborated by an independent source: the US government. Since July 2011, the US Treasury and State Departments have repeatedly targeted al Qaeda’s facilitation network inside Iran by sanctioning its key leaders. The most curious aspect of the Iran-al Qaeda deal is that the two are at odds in Syria and elsewhere. Yet, according to the US government, al Qaeda’s leaders have used the Iranian pipeline to shuttle cash and fighters from various destinations through Turkey and into Syria. 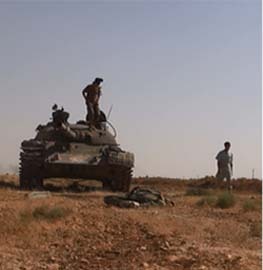 The jihadists then join Al Nusrah Front, which is al Qaeda’s official branch in Syria. Al Nusrah seeks to topple Bashar al Assad’s regime. 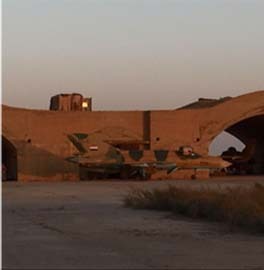 Al Qaeda’s men also regularly fight Iranian forces and Iran’s proxies. This raises a key question: Why has Iran allowed al Qaeda to continue operating its network even as the two are at war in Syria? 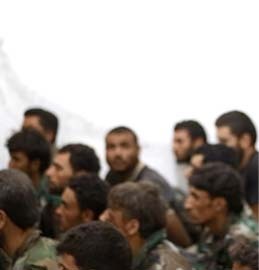 “Although it might seem odd coming from me to say that Iran permitted the passage of fighters to Sham, despite the fact that they are going to fight its army, its militias, and its allies there, this is the reality, for Iran’s biggest concern is that no operations happen on its soil,” Lubnani told Al Naba. Lubnani also mentioned the presence of Saif al Adel and Abu Mohammed al Masri inside Iran. In 2015, both Adel and Masri were reportedly freed in exchange for an Iranian diplomat who had been kidnapped by al Qaeda operatives inside Yemen. Lubnani was likely referring to the AAB’s July 2010 attack on a Japanese oil tanker, the M. Star, in the Strait of Hormuz. More than three years later, in November 2013, the AAB launched twin suicide attacks outside the Iranian embassy in Beirut, Lebanon. As The Long War Journal reported at the time, this may have been a form of blowback. Multiple reports indicated that the AAB had its own network inside Iran in the years beforehand. There are additional interesting nuggets in Lubnani’s testimony. He confirmed that al Qaeda’s senior leadership rejected the Islamic State’s manhaj, or methodology, for waging jihad. It is well known that al Qaeda’s leadership criticized Abu Musab al Zarqawi and his successors, who founded the Islamic State, for their indiscriminate attacks on Shiites. 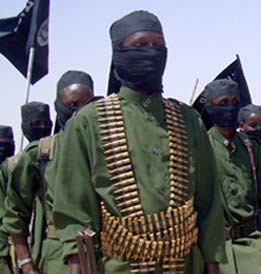 Lubnani noted that al Qaeda’s leaders “were rejecting the manhaj of the mujahidin in Iraq even before the establishment of the State.” He also said that al Qaeda’s senior leadership privately believed it was premature to declare an Islamic nation in Iraq, given that the whole country was in a state of war at the time. 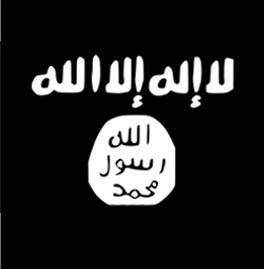 The Islamic State of Iraq was formally declared in 2006. Lubnani’s version of events actually cuts against the Islamic State’s anti-al Qaeda arguments in important ways. Abu Bakr al Baghdadi’s men often claim that they represent the true legacy of Osama bin Laden and that al Qaeda, under Ayman al Zawahiri’s leadership, has supposedly deviated from its original manhaj. As Lubnani explained, however, the disagreements began during bin Laden’s time, even though the Islamic State of Iraq remained a part of al Qaeda’s network. According to Lubnani, al Qaeda did not want to repeat the Islamic State of Iraq’s “experience” in Syria, meaning they didn’t want to declare an emirate in Syria or follow the same manhaj that was employed there. Lubnani said that al Qaeda followed “two lines of operation” to build up its own cadres in Syria and thwart the Islamic State’s plans early on in the war. “The first was with Ahrar al Sham, through which Abu Khalid al Suri was working with them [al Qaeda], communicating with Zawahiri and informing him of the situation,” Lubnani told Al Naba. 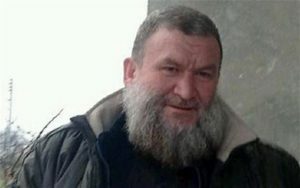 Al Qaeda also named Abu Maryam al-Azdi “to act as al Qaeda’s representative to Ahrar al Sham,” but he was arrested, preventing them from carrying out this part of the plan. The leadership in South Asia counted on Abu Khalid al Suri to groom factions to work with al Qaeda. Suri “was in touch with al Qaeda leadership in Khurasan” and he “was conveying to them the news of what was happening in Sham,” Lubnani explained. Suri “incited” against the Islamic State’s fighters, demanding that al Qaeda’s leadership “work on expelling them from Sham,” so that they would “return to Iraq.” This is, in fact, the course Ayman al Zawahiri pursued. Zawahiri “was hoping that the work of Abu Khalid al Suri in leading Ahrar al Sham would bring al Qaeda closer to the factions,” Lubnani said. Zawahiri asked Suri “in one of his letters to gather the factions and seek their promise to cooperate with al Qaeda.” But Suri refused, “claiming that the situation did not permit it or that the time was not suitable.” Nevertheless, Suri was still doing al Qaeda’s bidding. While Suri was working within Ahrar al Sham, al Qaeda was simultaneously pursuing another lane, “infiltrating” the Islamic State’s “effective group in Sham,” meaning Al Nusrah Front. “Zawahiri’s plan,” according to Lubnani, was to take control of Al Nusrah, which began as the Islamic State’s Syrian wing, and then merge it into Ahrar al Sham’s “model.” Lubnani likely means that Zawahiri wanted to create a single jihadist entity focused on the Syrian war. “This did not take place because of the killing of Abu Khalid al Suri, who was the leader of the project of bringing both al Qaeda and Ahrar al Sham together,” Lubnani said. Indeed, Suri was killed by the Islamic State in February 2014, just weeks after al Qaeda’s general command disowned Baghdadi’s organization. The Long War Journal first reported that Suri was embedded in Ahrar al Sham in Dec. 2013. The deaths of other senior al Qaeda leaders also helped prevent Zawahiri’s scheme from becoming successful, Lubnani told Al Naba. Some al Qaeda members in Syria joined Jund al Aqsa, an al Qaeda front group, because of personality conflicts. While parts of Lubnani’s story are influenced by the Islamic State’s spin, much of it rings true and can be verified by other sources. It remains to be seen if Lubnani surfaces again in the Islamic State’s media, or if he has already left the “caliphate,” as Khorasani alleged. Note: The Long War Journal translated Lubnani’s interview in Al Naba magazine earlier this year. Subsequently, the Islamic State released its own English-language version of part of the interview. The Long War Journal also translated Abu Karima al Khorasani’s response, which was disseminated on the @hedayh_femto Twitter feed prior to it being taken down. This is ISOIL propaganda trying to woo the Saudi financed aQ franchisees to shift loylty to the Turkish led ISIL Caliphate. In the long run it is an attempt by Erdogan and the Turkish General Staff to regain “Ottoman” control of the the Holy Cities and the bully pulpits of Sunni. It appears that, as well, the Turks wish to use the Caliphate to control Kurdish ambition. As always your work is much appreciated. Wonder what the long term agenda is of AQ at this point. Much activity seems tactical, simply to stay relevant. They have fewer sources of operational funds, limited credibility with potential jihadists. Well; there is an old saying in India which when translated says some thing like this……..”When a Jackal’s death approaches he runs to the city.” Obviously, the Jackal is safer in the jungle but surely be killed in the city. This Jackal, Lubnani, is coming to the city (Syria) where the DRONES would Welcome him to Allah much sooner than he expects. al Qaedaa will exist at various political focal points as long as Saudi Arabia and its oil billionaires wish it to. For those of us who are used to vertically operated government — and yes the United States is becoming more centralized the more the National Debt rises — it is hard to realize what a horizontally structured organization looks like. bin Laden was not the head of aQ. Rather, he was the operations manager. The fundamental difference between aQ and IS is that the latter allegedly promotes a new Caliphate and for the former Saudi Arabia and their control of the Holy Cities is the “Caliphate” — one which has spent more than half a century promoting Sunni Islam by the building of radical mosques to recruit terrorists in various underdeveloped and otherwise corrupt nations. It spent time and money and created upward mobility through the the professions of terrorism and piracy. Local aQ franchisees (the McDonald’s of the terrorist business) received approval, funding, training and logistics support through the operations manager. He in turn directed funding to the training camp and to the franchisees. aQ did have some success recruiting from its Saudi believers. as well. The advantage that IS, as an organization had was that its founders and supporters — Erdogan and the Turkish general staff decided as a basic attraction to create a new “Caliphste” using the escaping Saddam Hussein/Sunni army and the suborning of the Sunni provinces in the now failing nation of Iraq. By so doing it could compete for the existing aQ franchisees to join with the “New Caliphate” — ISIL created fby attracting the Sunni ‘minority in Shi’a majority Iraq as well as the majority Sunni in Syria under the thumb of Assad and his minority Alawites. Turkey does retain a National Objective. Both the radical Erdogan and the Turkish General Staff agree: the return of Ottoman hegemony over the Middle East from Mosul to Aden. That would mean the ‘overthrow’ of Saudi hegemony. What makes IS extraordinarily useful is — the Kurdish problem within southeast Turkey. The Kurdish peoples populate southeast Turkey as well as northeast Iraq, parts of northern Iran and northern Syria. They are a fractious people seeking a homeland. The New Caliphate under Turkish control provides a violent counterpart, both in Southern Turkey and in the now captured Mosul and the surrounding oil resources. It has helped, of course, that misguided U.S. ad hoc National Political Policy created an untenable political outcome in the Iraq War — and then walked away without admitting or correcting error.